Thank you for the considering Vidibiz to produce a film of your wedding day, we will help to make your special day memorable and produce a film that will be watched and enjoyed by you, your children, family and friends. We will work with you to achieve the best possible record of the day and provide you with a DVD to cherish and give to your family, or maybe send to someone who was unable to attend your special day for whatever reason. 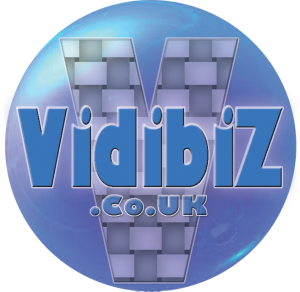 Vidibiz are fully insured with Public Liability and Professional Indemnity insurance and use broadcast quality professional HD cameras and audio recording equipment to capture the day, we use industry standard editing software such as Final Cut Pro X, Adobe Premiere or Pinnacle Studio to produce a high quality film that we save to DVD for you to enjoy on your TV or computer. Vidibiz are a leading producer of training films for the Hair & Beauty industry as a result we work with many local hair, beauty and nail professionals who we can introduce to you to help add that touch of magic to your special day. As film makers we have our own fully equipped studio in the New Forest which ensures we have the necessary equipment to make sure we can deliver a film to the quality required. We have our own lights, tracking dollys, rigs, tripods etc etc if they are needed to enable us to capture the best image. We have enclosed the various details required to enable us to give you a price to film your special day, this also includes our contract showing the Terms & Conditions for your protection. Please look through this information and we will be pleased to meet you to talk over your plans. Single Camera, Wedding Party, Best Man/Woman and Guests arriving for the ceremony the service extracts, arrival at reception, speeches, cake cutting & first dance. Home/hotel for preparations with bridesmaids/attendants and pageboys etc (brief visit). Multi-Camera (1 mobile & 1 static) Wedding Party, best man/woman and guests arriving for the ceremony, the service extracts, photo shoot, receiving line, reception, cutting of the cake, speech highlights to first dance, coverage of the Evening Entertainment until 10pm. Video montage for Facebook. The above schedule is only a guide and does not form part of our contract. ALL OUTDOOR RECORDING IS SUBJECT TO WEATHER PERMITTING. It may not be possible to record outdoors in inclement weather, mist, fog, rain or snow due to possible damage to electronic equipment. All Refreshments & any Overnight accommodation for crew to be provided at no cost to Vidibiz. We provide 3 copies of the DVD as part of each package. 1) Bookings are accepted on these terms and conditions only. No condition may be added, omitted or altered unless we have agreed it in writing with you. a) Any addition omission or alteration that we may agree does not affect any other term or condition. a) Once a booking has been accepted you must immediately pay the deposit that we have agreed. Until we have received the deposit (and if by cheque, that cheque has cleared) we are under no obligation to carry out any of our obligations. Please note that this contract remains in force even if you have not paid the deposit and we shall be entitled to enforce it. b) You must pay us the balance of the price (shown on the booking form) in full (and if by cheque that cheque has cleared) at least 30 days before the date when the Event is to take place. If you do not do so we will not have any liability to you, and if we so decide we shall be entitled in our absolute discretion to forfeit the whole or part of the deposit. c) within 30 days of the date of the event a sum amounting to 95 per cent of the Price is payable by you. d) Any cancellation must be notified to us in writing addressed to us at the address shown in the booking form. e) The Price is based on a recording time not exceeding 3 hours in length. An extra charge is payable in the event of recording time running over 3 hours for whatever reason. f) Interest will be charged on late payments at the rate of 2% per calendar month or part month on any overdue balance. 4) Restrictions on our liability to you. (Please note this section is important and should be carefully read by you since it limits your rights. Please ask us if you need any further clarification). a) We will make every reasonable effort to secure a replacement cameraman if for any reason the cameraman is unable to carry out the engagement. In those circumstances however, our liability to you is limited to making a refund of the sums that you have paid us in respect of the booking. We will be entitled to deduct any out of pocket expenses that we have reasonably incurred or paid to a third party. b) Although we make every reasonable effort to ensure that all the equipment we use for your Event is in sound working order, if a problem with the equipment should arise our liability to you is limited to making a refund of the sums that you have paid us in respect of the booking. We will be entitled to deduct any out of pocket expenses that we have reasonably incurred or paid to a third party. In the event of a part of the Event being recorded we will in that case return a fair proportion of the Price. c) Although we will use every reasonable effort to record significant parts of the Event (including any part of the ceremony) the decision as to what is comprised in the recording is in our absolute discretion. We can give no assurance that we will successfully record any particular aspect of the Event (even though you may have asked us to do so), and any failure by us to capture any particular aspect of the Event or failure does not give you any right to refuse to pay the Price or obtain a refund. d) When you enter into this booking you accept that we cannot accept any liability whether it is a financial or any other kind of loss, which arises either as a direct result or as an indirect result or as a consequence of any failure by us of our obligations to you in this booking except for our obligation to return all or part of any sums that you have paid to us in accordance with these conditions. f) We will carry out services with all reasonable care and skill. You accept that any other warranty or legal obligation on our part or placed on us by any legislation (such as the Supply of Goods and Services Act 1982 and the Sale of Goods Act 1993) or arising under common law is excluded in so far as it possible to do so. g) Although these exclusions or limitations may appear to be comprehensive you agree that it is fair and reasonable for us to limit our liability. This is because if we were to accept additional liability we would need to insure against that liability or loss which will then increase our prices. You accept that you understand this and agree that it is reasonable to us to limit our liability in this way. a) The master tapes/data cards remains our property. b) Copyright in the master tape/data is vested in us. This means that we reserve the right to dispose of the master tape in our absolute discretion. c) we do not accept liability in relation to any loss of and/or damage to the master tape. f) We reserve the right after you have received your copy of the DVD, to show the disc or part of it to any prospective client who may wish to see a sample of our work, or to enter the disc into competitions or use extracts in our show reel. We will not however release any part of your video for a public showing or broadcast without your prior written consent. g) We confirm that we will comply with the provisions of the Data Protection Act 1998 as it relates to your personal data. Please note that we shall be entitled to assume unless you inform us otherwise prior to the Event that all persons attending the Event have consented to being recorded. a) If you ask us to provide any extra services after you have signed the booking form these may be subject to additional payments which we will agree with you and confirmed in writing. a) Please note that it is your responsibility to obtain the consent from the owners of the Church, Synagogue, Temple etc, or other venue where the Event is being held and all other persons involved in the Event, such as any person conducting the ceremony, the choir organist and other musicians to record the Event before it takes place and to pay any fees charged by them. b) If you fail to do so, this may mean that we are unable to record the ceremony or the Event or release the DVD to you until that consent (which is required for copyright reasons) has been obtained. a) We will try to agree a schedule of contents of the recording with you. Please note that the contents of that schedule does not form part of our agreement with you. b) We will assume that you accept the quality of the finished DVD unless you tell us to the contrary in writing within 2 weeks of the DVD being sent to you. If you do notify us within that period you must also tell us what your complaint is in as much detail as possible. If we do not receive any complaint within that period we shall be entitled to assume that you are satisfied with it and we will then be under no further obligation to accept any complaint, unless we then agree. c) We will use all reasonable efforts to deal with any complaint promptly and if it is something that is justified and we can remedy, we will do so. If we do not consider your complaint to be valid or reasonable then we will tell you promptly. e) “Event” is the ceremony and associated activities that you have asked us to record and which is detailed in the Booking form.